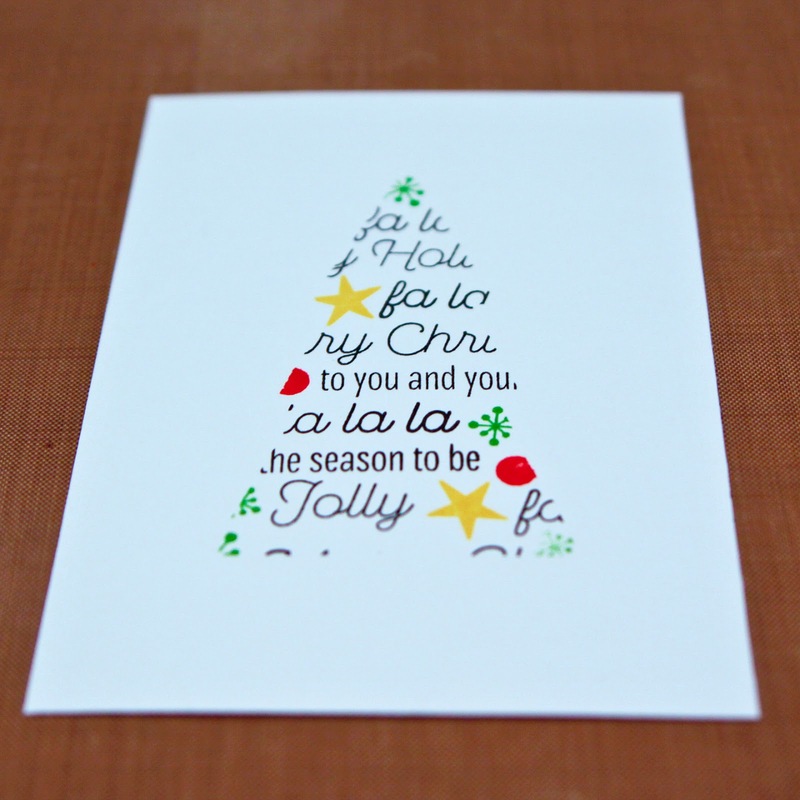 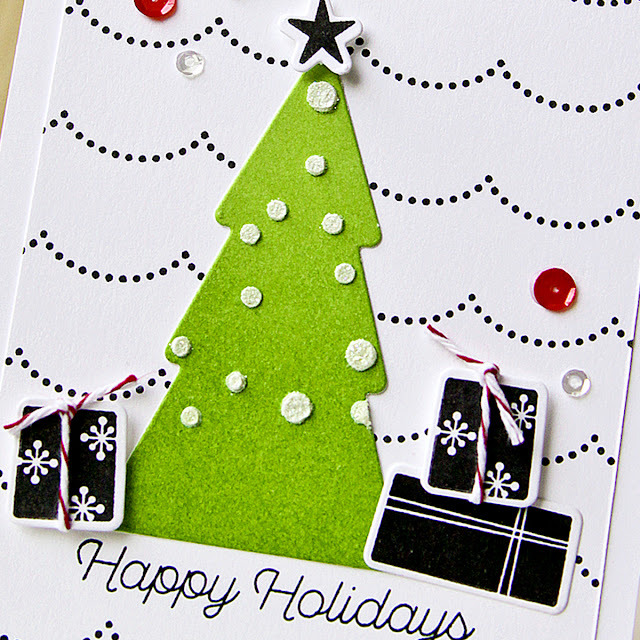 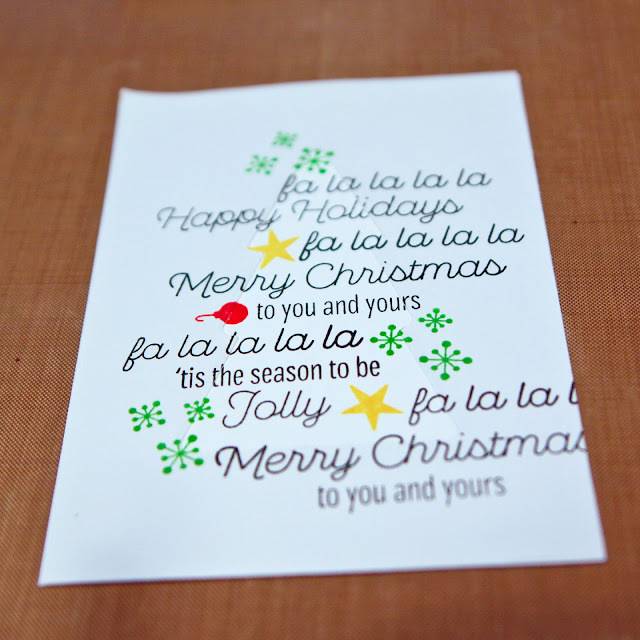 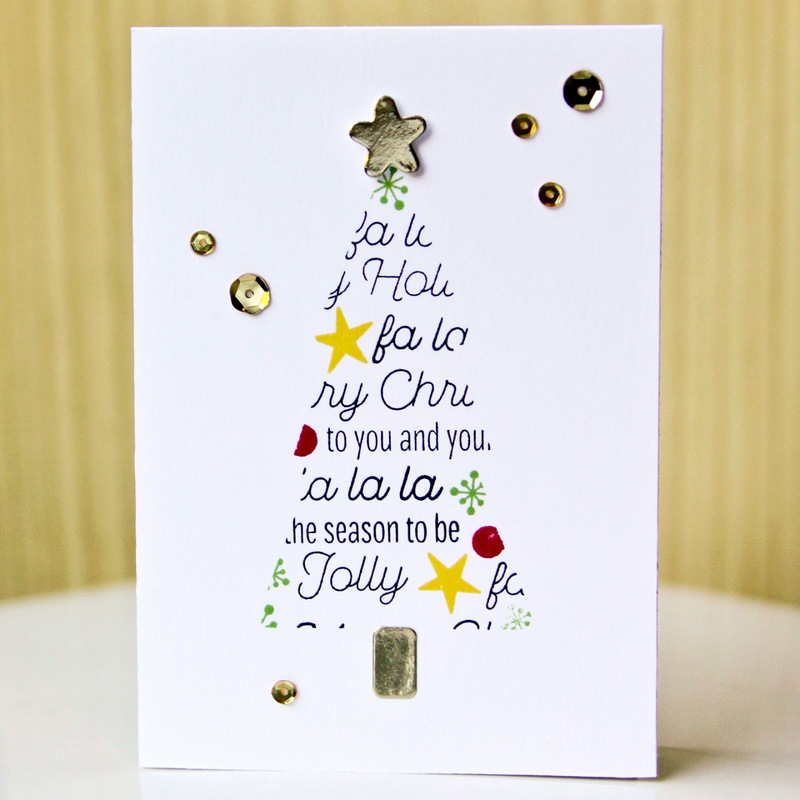 you can see more of these cards of the mft blog! 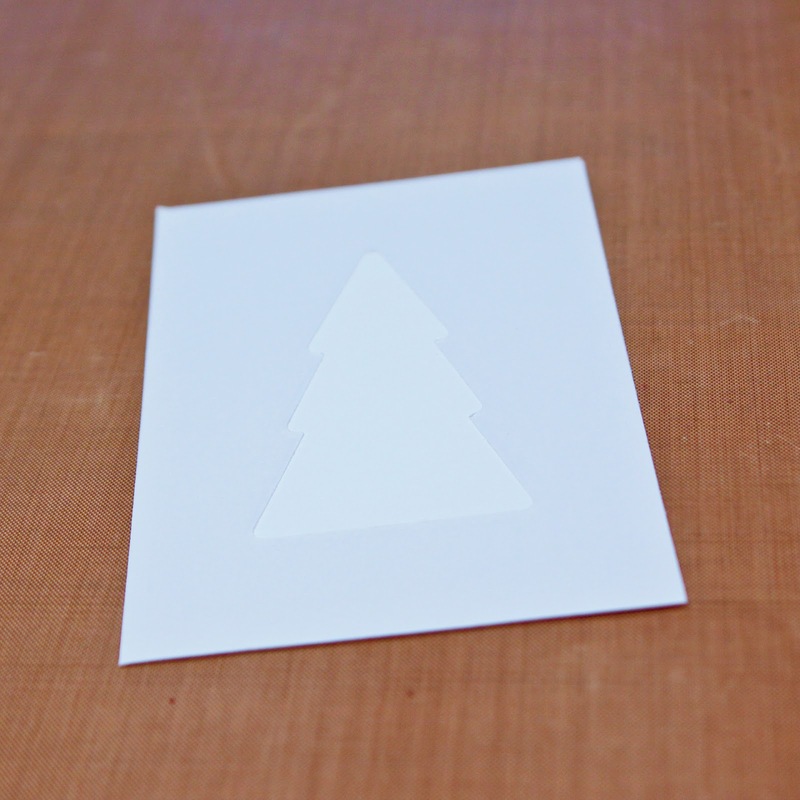 -first i cut a 3-1/2 x 5 piece of masking paper to fit the front of my 3-1/2 x 5 solar white card but before placing it on my card, i die cut the tree from the middle. 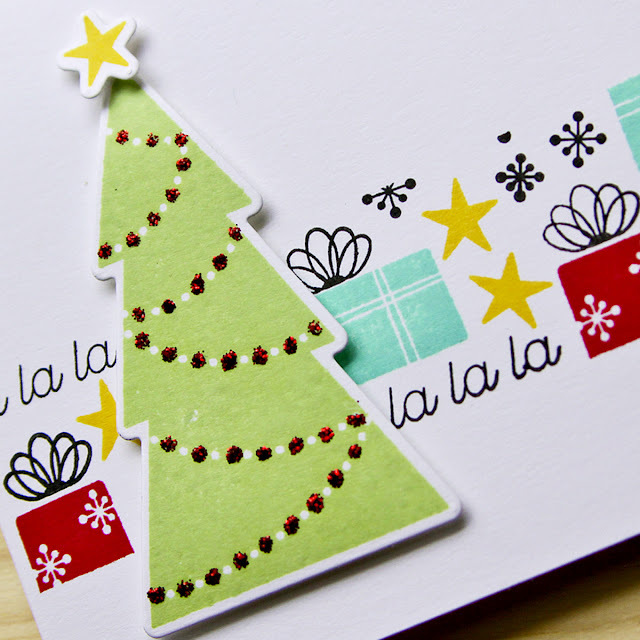 -then i stamped sentiments and small images from the trim the tree set in the tree-shaped opening, letting phrases & images go off the edges. 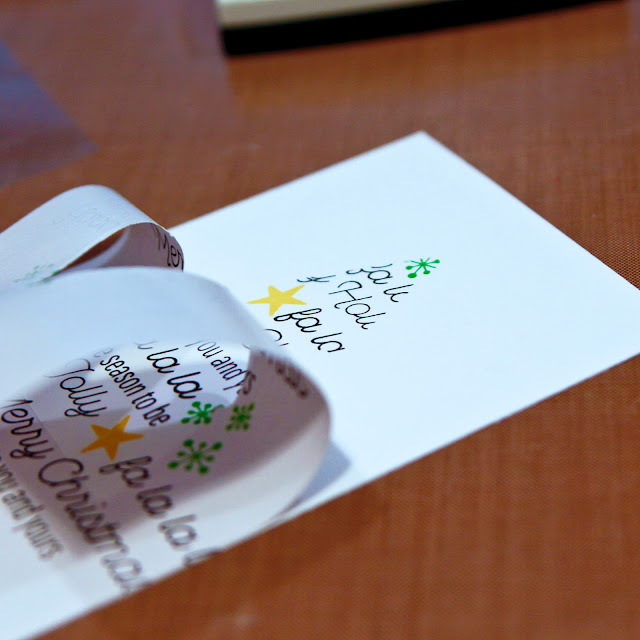 -after letting the ink dry for just a few minutes, i removed the masking paper to reveal a "text" tree. and just a tip, when pulling up my masking, i saw a blank spot (like a christmas tree with some lights out, lol) so i just carefully laid my masking paper back down and added another stamp. 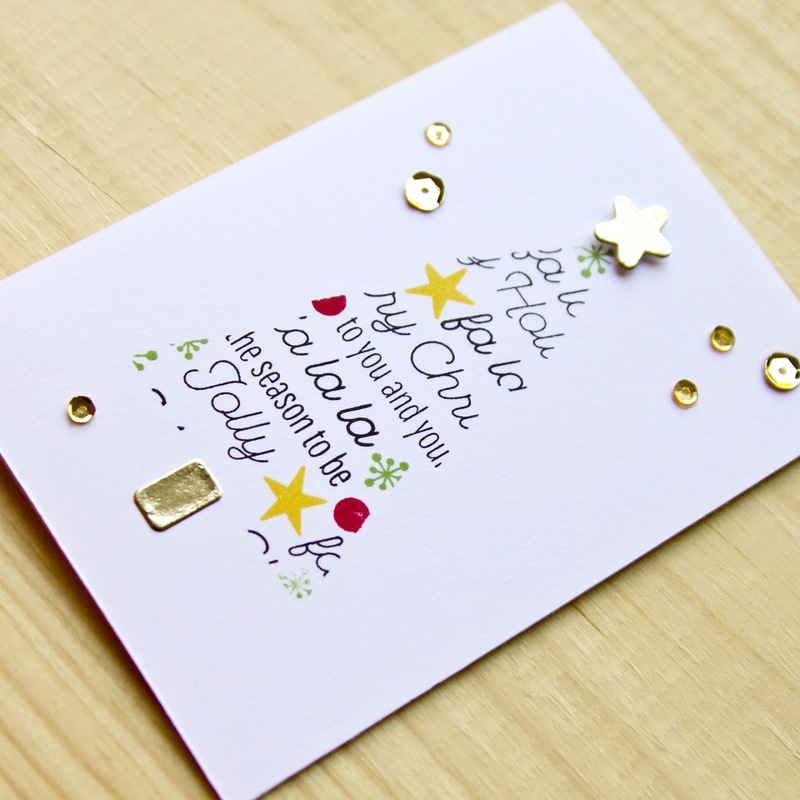 -to complete my tree, i die cut the star and trunk from gold foil paper and adhered them on top. then i added a few gold sequins for shine.